A sublease is a lease or rental agreement between a tenant who already holds a lease to a commercial space or property and another party—called the sublessee or subtenant—who wants to use part or all of that space. The tenant assigns or gives certain rights to the sublessee that he holds under the terms of his own original lease with the landlord. A sublessee pays her rent to the original tenant, who is commonly called the sublessor. She may either share the rented space with the sublessor or take over the entire space from him. She doesn't pay her rent directly to the landlord. The sublessor remains legally responsible for the rent payments to the landlord under the terms of the original lease. If the sublessee doesn't remit the rent, the sublessor must pay it out of his own pocket or risk violating the terms of the original lease. It's always a good idea to screen your potential subtenant for this reason. Take a look at her credit report before entering into a sublease with her. 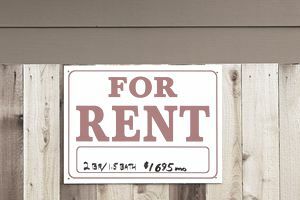 There's usually no rule that says a sublessor can't charge the sublessee more rent than he is currently paying to the landlord under the terms of his own lease, but state laws can vary, so check before you try to turn a profit on the arrangement. Likewise, the original tenant or sublessor would be legally responsible for the cost of repairs if the subtenant damages the property in some way, unless this eventuality is covered in the sublease. Even then, the sublessor remains responsible for the damage under his original contract or lease with the landlord if the subtenant defaults and refuses to pay up. A sublease doesn't supersede the original lease. It's more of a private arrangement between the sublessor and the sublessee. A sublessor cannot legally assign rights to a sublessee that he doesn't already hold under the terms of his own lease or rental arrangement with the landlord. For example, the leased space may be in a large complex with certain parking slots awarded to each tenant. The sublessor can't grant more parking slots than he has a right to under the terms of his original lease, although he is within his or her rights to give less. A sublessor cannot sublet his premises unless he is permitted to do so according to the terms contained in his own lease. If the lease is silent with regard to subletting—it doesn't say that subletting is prohibited but it doesn't specifically allow it either—he can approach the landlord for permission and ideally get that permission in writing. Otherwise, it's entirely possible that the landlord would have grounds for eviction, particularly if the sublessor has vacated the premises and turned it over entirely to the sublessee. In that case, the landlord would have an unknown third party in his property. Should he take legal steps to remove the sublessee from the premises, the sublessee might have legal recourse against the sublessor for entering into an insupportable agreement and assigning rights that he had no entitlement to assign. Some larger cities have ordinances in place that obligate landlords to accept subleases, but this can be more common with residential properties than with commercial properties. If you're thinking of entering into such an arrangement, consult with your landlord and possibly a local attorney. Subleasing can be a wise move in commercial real estate, but both the subleasee and the sublessor have to be aware of their rights and responsibilities under the law.